First, the disclaimer. There were supposed to be 10 #iPhoneX cases for you to peruse today (you know, since this is also Apple’s tenth anniversary iPhone, get it? ), but after trawling the web for almost a day, I gave up. Many of the cases online available are either cheap-looking or just plain ugly, so I decided to call it a day and just do 7. 01. Offering serious protection while still letting you enjoy how your spanking new iPhone looks, Otterbox’s Statement Series comes in 3 colours (Black, Dark Blue and Wine), is priced at just SGD54 and available now online via Apple. 02. If you still love everything marble then LAUT has the X case for you. Available in 5 different colours, LAUT offers international shipping at USD10 flat. Or spend above USD50 and get free shipping as well. The marble ones are USD24.99 each, so just add 3 to the cart and you’re good to go. 03. Call me boring but if you’re looking for a good leather folio case that won’t cost you an arm and an leg, Apple has the solution. 4 different colours, SGD148 and free shipping for those in Singapore. 04. Super girly, you know, with all those stars on a glitter background, get your Rebecca Minkoff case (USD40) via Shopbop. 05. Another Apple option, also in full leather and for a great cause, (PRODUCT)RED™. And it will set you back by just SGD68. 06. Unicorns and rainbows. Seriously. Any cuter and I’ll puke glitter. Get it via Casetify for just USD45. 07. Last but not least, the only ‘big boy’ that already has an #iPhoneX case on the market. 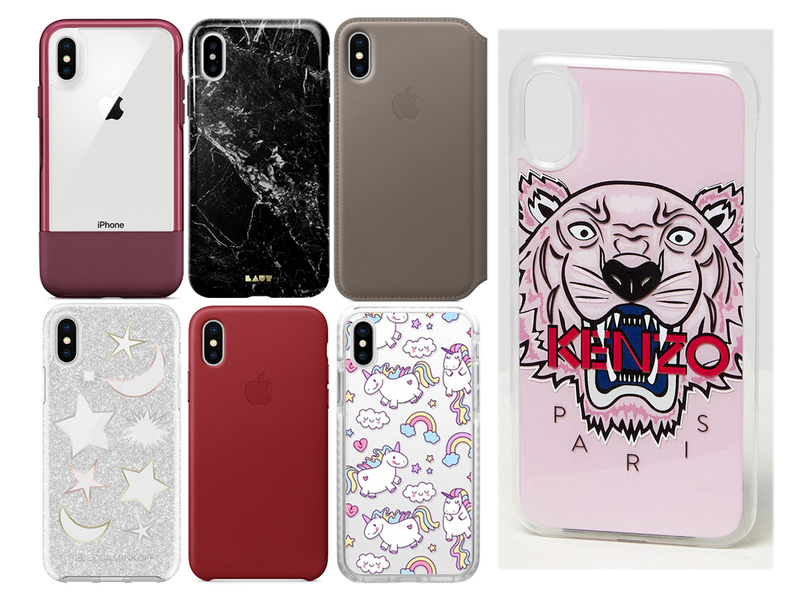 Priced at SGD85, these cases are now available locally at our Kenzo boutiques in 4 colours. Black, Faded Pink, Medium Red and Navy Blue. Just pick one already.